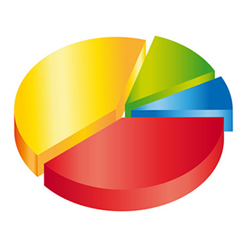 KPI reporting is an important aspect of our business. By self measurement we ensure that our services are refined and improved. KPI reporting is an important aspect of PC Howard's business. By self measurement we ensure that our services are constantly refined and improved. We utilise KPI's for both the distribution and warehousing aspects of our business. We measure our performance, our goal being to achieve a 100% of our customers goods delivered on time and in full . When we do not achieve this goal , we will report this back to the customers , with any explanation and any corrective action that may be required to prevent a reoccurrence. By working in partnership with our clients and making our results completely visible, our aim is to work with you to ensure you receive a top notch premier service. Whilst cynics may believe that this is a bad idea, PC Howard Ltd actually finds that this process helps to strengthen relationships with our customers. By having visible and quantifiable goals to work to, this can only be of greater benefit to our clients and to us as a company. We belive in consistent and constant improvement; not just as a business but also with our working relationships with all our customers.